At this time we are NOT accepting guest blog contributions. The Work at Home Woman is looking for experienced guest bloggers who can write original, high-quality content for The Work at Home Woman. Blog posts are promoted across our network of THOUSANDS of women and moms via Facebook, Twitter, Pinterest, Google Plus, LinkedIn and Biz Sugar. Popular articles will be featured in our newsletter, which goes out to 50,000+ individuals. Writing a guest post for TWAHW is an excellent way for you to promote your blog or business! Regular contributors will be expected to submit a new post every six weeks. Posts must be turned in 2-3 business days before scheduled to run. I currently do not have any openings for regular contributors, but if this is something you’re interested in shoot me an email, and I’ll hold onto it for future opportunities. Effective January 1, 2015, contributors whose posts hit certain traffic milestones will receive bonus payments. The total possible bonus on each post is $100. All posts are eligible, and traffic received on or after January 1, 2015, counts toward the bonus. Payments will be made via PayPal at the end of each quarter. First — we are very selective about what we publish. 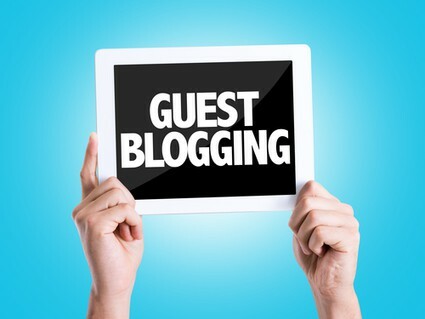 Guest blog posts are reserved for bloggers who are promoting their personal blogs. If you want to submit an article for a commercial website, it's consider sponsored content. In which case, it's not a guest blog post nor are you a guest blogger. Please see our advertising page for rates and conditions. The focus of your article should be on providing useful and practical information that educates the reader. Commentary posts will not be accepted. Your article should be written with our target audience in mind – American women, who are looking to work-from-home, and those who already do. There should be a good fit between our audiences. Posts written for the sole purpose of SEO and ranking keywords will not be accepted. Sloppy and poorly written articles will be declined. All blog posts must be in English, with proper grammar, and spelling usage. All content must be ORIGINAL — absolutely no republished posts. Articles must be edited before submission. We reserve the right to edit your post for brevity, grammar, and readability. We reserve the right to remove/unpublish your post if it becomes irrelevant, outdated, or no longer fits within our guidelines. Please send your post over in a Word or Google Document. Make sure it includes a catchy title, a short bio, along with proper formatting and structure. Length should be 800 – 2,000 words. Contributors should reply to comments left on their article. No promotional or affiliate links will be allowed within the editorial content. Only links that enhance the material will be permitted. At the end of your article, you will be allowed to include a short bio with a maximum of two links. Our editorial calendar is made months in advance, requests for specific publication dates will not be accepted. Please take the time to read through some of our articles – submissions that are too similar in nature to articles that have already been published will be declined. Impersonal, nameless, and canned pitches are automatically deleted, as this is generally an indication of the type of article that would be submitted. To be considered for guest blogging, please introduce yourself via email and submit 2-3 themes for a post. Please send your request to holly (at) theworkathomewoman (dot) com. IF you are still accepting guest blog posts, I’d love to write one on self employment. Thank you for extending such a wonderful opportunity to bloggers on the Web! Would The Work at Home Woman by any chance be seeking guest blog content on financial aid (for themselves, or their children) as well as content on how to get out of debt and maintain a family budget? That’s my content niche, and I’d love to discuss it more with you. I was just reading over the blogger profiles to see if you had anyone addressing the Mom-work-fitness balance and was going to write you. Then …I saw your post on Twitter about needing guest bloggers! I have my own fitness business and do many workshops on the balance of health/fitness/mamahood in addition to blogging for The Power MOB, http://www.powerfitnesspdx.blogspot.com and http://www.powerofyoufitness.blogspot.com. I also owned a business and my old blog has many posts I can send you if you like. Let me know what other requirements you are looking for. I look forward to hearing from you. I also write in E zine. Email did not work so I’m entering my interest in your site here. I would love to participate. My blog is http://www.imagemaker1.com/wordpress. Thank you for putting up a site like this that will forward many people. Hello! I would love to participate, if you are still seeking guest bloggers! I have a little business in which I do both handmade jewelry and recycle vintage and yard sale cast-offs (furniture and home wares) by painting bold graphics on them, changing them from an unwanted piece to a conversation piece. My blog has some photos, but there is also a flickr link there, if you are interested. My little business is just getting started, but I’m raring to go! Leona, 43 yr old Mom of one 4-almost-5 yr old girl. I am a professional illustrator, and freelance out of my home. But to stay attached to some of my painting “roots”, I like to paint ad recycle items and paint kids’ rooms. I like stuff. I like making stuff, fixing stuff, painting stuff. And I’m always looking to create something new, or give something old a new twist. The first project was one salvaged and unsuspecting kitchen-type chair which received a couple coats of paint and a huge red dahlia painted on it. Which is why my shop is called “Very Happy Chair”. Follow along as I’m getting ready to morph this hobby into a craft business. Bumps and all. I would love to have you as a guest blogger! I’m be emailing you shortly.